Gotta love 4-day work weeks! Happy Wednesday, everyone! 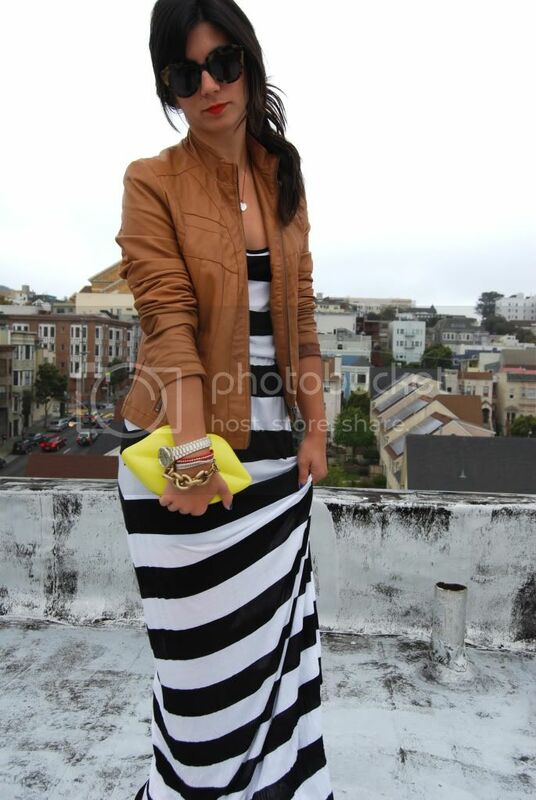 I love your outfit, especially that adorable clutch! I love this! Gorgeous! Love the bold stripes with the camel jacket! That little clutch is adorably cheeky!!! Love the bold statement against the graphic stripes! This ensemble screams summer babe! I love that jacket and the dress! 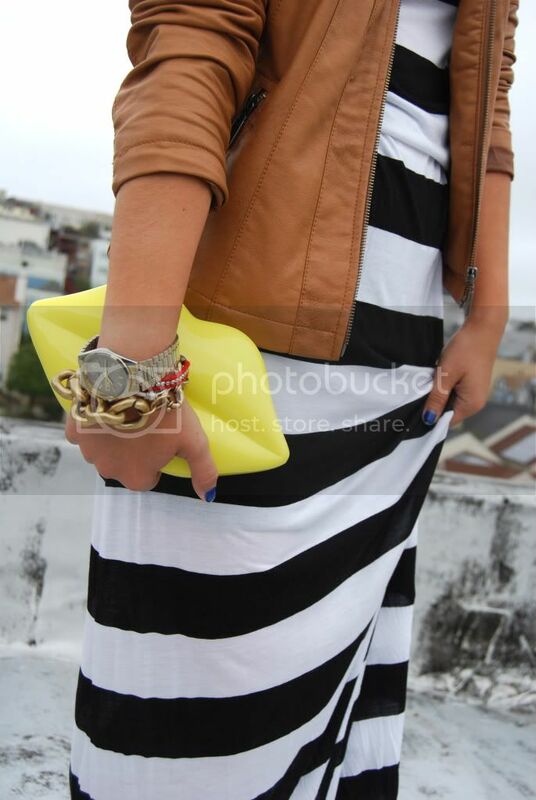 I love the b&w stripes with the yellow clutch. that purse made me giggle. Love this look! Such an adorable outfit! Love the neutrals (white/black/tan) with the bright mix!